Artificial Pancreas is a technology developed to help people with diabetes automatically control their blood glucose by providing a replacement of insulin of healthy pancreas. The main aim of artificial pancreas is to provide an efficient insulin replacement therapy so that blood glucose control is normal and there are no complications of hyperglycemia. 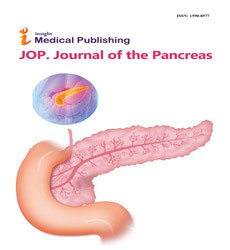 Artificial Pancreas eases the burden of therapy for the insulin-dependent. This system is worn like an insulin pump and has been termed the artificial pancreas because it monitors and adjusts insulin levels just as the pancreas does in people without diabetes.